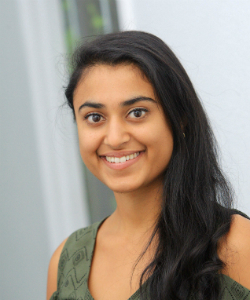 Growing up Sonam always knew she wanted to work in the health profession and help people. Introduced to chiropractic in her late teens, chiropractic’s simple principles and natural approach resonated strongly with her personal views on health and she decided to be a part of this amazing profession and studied at the New Zealand College of Chiropractic. Sonam came to appreciate chiropractic more and more, seeing first-hand the amazing changes chiropractic care made in so many people’s health and how it impacted positively their quality of life. Sonam enjoys helping and caring for people of all ages on their journey to better health. In her spare time Sonam loves to spend time with friends and family, get outdoors and go hiking and getting creative in the kitchen. Originally from Auckland, Sonam enjoys discovering all the great places Hawke’s Bay has to offer. Ready to take action on your chiropractic journey? Contact us in Hastings to arrange your visit with Dr Mistry!